I am here to enable your crafting addiction! 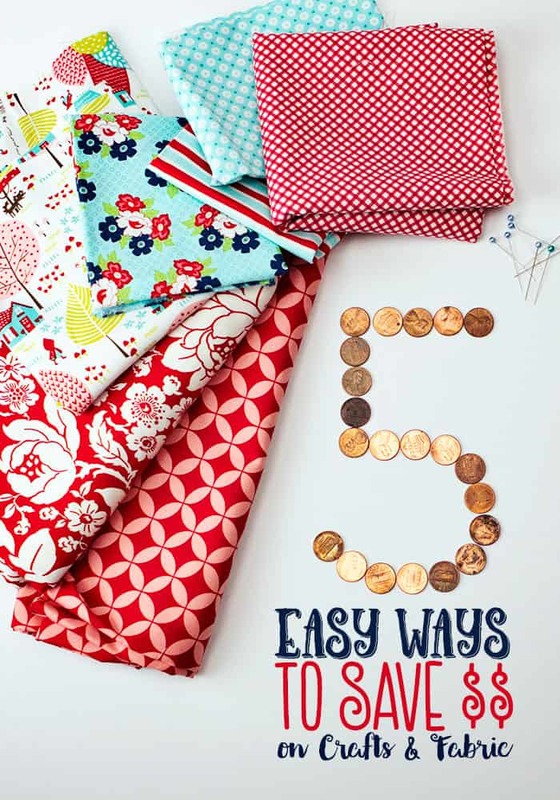 Here are 5 Easy Ways to Save Money on Crafts and Fabric that I’ve picked up over the years. These tips are simple, and only require a little extra effort to save you some hard earned cash. 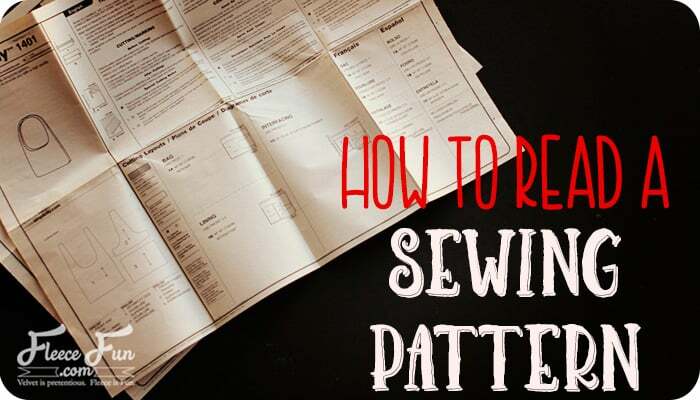 While I love sewing, it’s not the money saver that it was for generations past. These days you need to be smart with how you spend your money. Most of the patterns on this website currently require a yard or less of fleece (like the basic fleece pant or the Parade scarf). This is perfect for remnants! Most stores consider a yard or less on the bolt a remnant. Now here’s the big secret and this has worked a couple of times for me at the local Joann’s. If the fabric is on sale, then you get to use both discounts. So for example yesterday I picked up 1 yard of remnant fleece. The fleece was on sale for 40% which knocked down the price to $6.60. Then because it was a remnant and additional 50% was taken making the final price of the yard $3.30 (WOW such a great deal!). Store policies vary so be sure to check with the store to see if it will work for you. But always check the remnants first – there is usually a decent selection and you’ll save your hard earned cash! 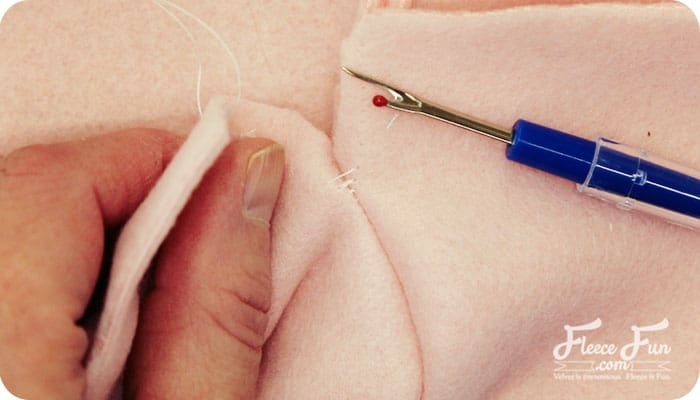 Sometimes when you are sewing to save money, every penny counts. A good way to keep a handmade wardrobe cute but cost efficent is using a lot of solid colored fabric, with patterned fabric used as an accent. Solids tend to be less expensive and come in a good range of colors. Pick a patterned fabric that you like and then a couple of solids to pair with it when making a winter wardrobe or accessories. You’ll make your dollar stretch and you’ll still make something with a fashionable print! Have you ever had this happen to you? You get all excited about a craft – buy way too much material and after making a few have a lot of supplies left over? Or maybe you needed just a little bit of some sort of special glue but ended up with a whole jar left over? I have a fun solution for you! Host a craft supply swap! Gather up all those still useful supplies and tell your friends to do the same. Invite them all over with their supplies for some chatting and munchies. Then bargain and swap craft supplies! You get new supplies and don’t have to be wasteful with items that you aren’t going to use. Plus any excuse to get together with friends and eat chocolate is good right? 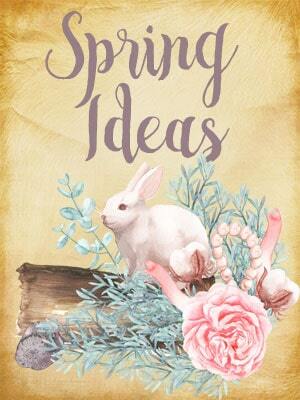 Not only will you exchange supplies, but ideas as well. Be sure to ask what they bought the item for and any tips they have. It’s also a great way to get to know the crafty side side of friends better. Did you know that you can save over 40% on retail fabrics by shopping online? And bonus no dragging your kiddos around the fabric store (always roll their eyes when they find out where we’re going). One of my favorite places to shop is fabric.com – they have a massive selection. 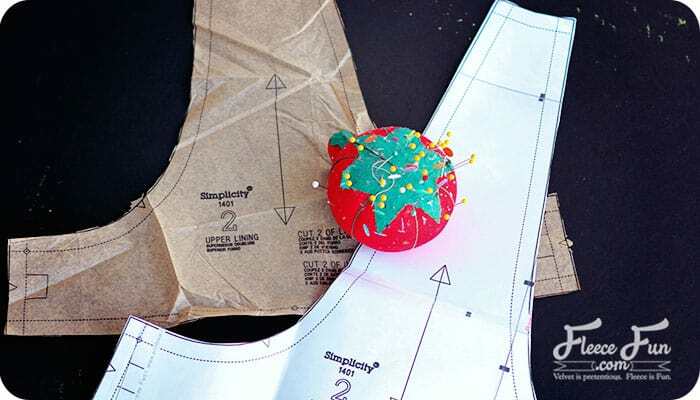 And while we’re at it why pay for a pattern when so many sewing blogs (like this one) offer free patterns and tutoirals ( you can see all the free sewing patterns Fleece Fun offers here). Ruffle Fabric has taken the sewing blogosphere by storm. I confess that even I, a lover of fleece have been taken by it’s charms. It’s girly, it makes it look like you did hours of work and it only takes minutes. It really only has one flaw: the cost. In some quilt shops I have seen this fabric as high as $21 a yard. 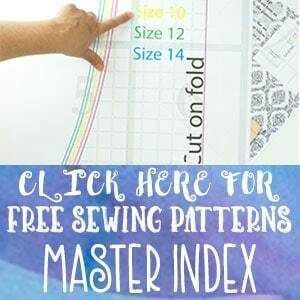 After scouring the web and taking a good look around I have been able to find the cheapest way to get this fabric – but please understand that pricing can vary from store to store. I was able to find the ruffle fabric in the knit section at Hobby Lobby for $11 a yard (much better than $21!). But wait there’s more! You can download a coupon off of the Hobby Lobby Website (here) for 40% off one item that’s not on sale. So as long as you buy the fabric when it’s not on sale and use the coupon that knocks the price down to $6.60 a yard. I have looked and looked and you can’t find it for this price anywhere – not even the internet. Now the trade off is that you’ll have less selection at Hobby Lobby, but you can’t beat the price! So many stores now have an app (like Joann’s or Hobby Lobby) that have coupons and special savings in them. If you have a store that you regularly shop in – make sure that you use their app!